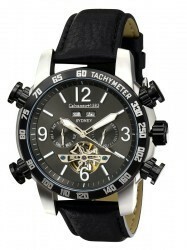 Model 2014 - "Sydney Spirit" Automatic Designer Mens luxury watch. Based on the popular Valencia this gorgeous clock was built with distinctive design and all the technical details of the Seagull already continuous no-automatic clockwork. 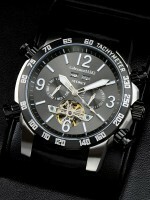 Whether in steel or gold-plated version, this magnificent complication will also inspire you and draw attentive looks. It features another brand new model for this year's 10th anniversary of Calvaneo.